Alloy 2: Essential Mixing ToolsAlloy 2 gives you futuristic tools, fast results and most importantly, fantastic sound. Bring character and life to every element of your mix with Alloy 2.Far more than just a traditional channel strip, Alloy 2 is a mod..
BreakTweakerFuture Beat MachineMake beats you've never heard before. Built on a futuristic MicroEdit Engine, BreakTweaker turns everything you know about rhythm on its head.Designed by BT and developed by iZotope, BreakTweaker is not just a drum mach..
BreakTweaker EXPANDEDFuture Beat MachineMake beats you've never heard before. Built on a futuristic MicroEdit Engine, BreakTweaker turns everything you know about rhythm on its head.Designed by BT and developed by iZotope, BreakTweaker is not just a ..
iDrum: Virtual Drum MachineiDrum turns your Mac or PC into a powerful and flexible virtual drum machine. Inspired by both vintage and modern-day hardware, iDrum was designed from the ground up to capture the same feel in software form. The result is ..
InsightIntroducing Insight, a comprehensive metering suite for post production and broadcast applications. Insight provides an extensive set of audio analysis and metering tools, perfect for visualizing changes made during mixing and mastering, troub..
Iris 2: The World is Your InstrumentCreate and discover musical sounds that have never been heard before. An inspiring sample-based synthesizer, Iris 2 is immediately playable—combining the power of a sampler, the flexibility of a modular synth, and ..
iZotope: Nectar 2Nectar 2: Treat Your VoiceBring a vocal track to life with the only complete set of tools designed specifically for voice. Add impact with modeled plate reverb, harmonic saturation, and a wealth of creative effects. Stay in tune and ..
iZotope: Nectar ElementsNectar Elements: Everyone Has a VoiceGet great results quickly by loading one of Nectar's professionally-designed Style presets in genres like Rock, Pop, Folk, Soul, and Voice Over & Dialogue. From there, easily customize ..
iZotope: Ozone 6 STANDARDOzone 6: Creative Mastering PlatformElevate a good-sounding mix to a professional-sounding master with Ozone. iZotope’s critically acclaimed mastering software has all the tools you need to produce a full and polished sound. ..
iZotope: Ozone 6 Advanced - Complete Mastering SystemOzone 6: Creative Mastering PlatformElevate a good-sounding mix to a professional-sounding master with Ozone. 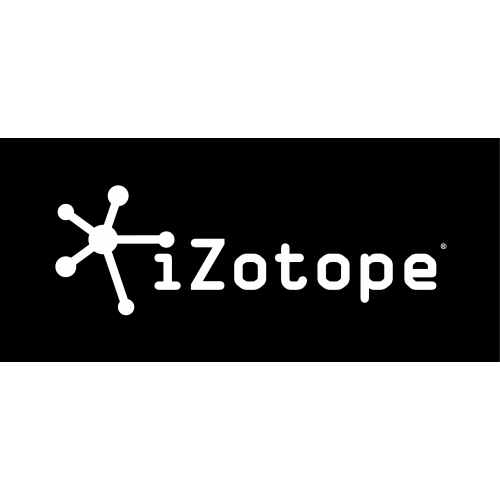 iZotope’s critically acclaimed mastering software has all the tools you need to produce..
iZotope: RX 4RX 4: Complete Audio Repair & EnhancementiZotope's award-winning RX is the industry standard for audio repair and enhancement, fixing common audio problems like noises, distortions, and inconsistent recordings. Post production profes..
iZotope: RX Final MixRX Final Mix is a real-time plug-in for controlling your peaks and giving your mixes and sub-mixes a smooth sonic balance. The newest member of the RX family of post production tools, RX Final Mix plug-in is built specifically fo..
iZotope: RX Loudness ControlRX Loudness Control: Automatic Global Loudness CorrectionDeliver transparent audio while meeting global broadcast specifications! RX Loudness Control works faster than real-time to ensure your audio mixes are delivered wit..
iZotope: RX4 AdvancedRX 4: Complete Audio Repair & EnhancementiZotope's award-winning RX is the industry standard for audio repair and enhancement, fixing common audio problems like noises, distortions, and inconsistent recordings. Post productio..
iZotope: Stutter EditPlay Effects Like an InstrumentIt's an effect. It's an instrument. It's Stutter Edit—an innovative tool for both studio and stage, designed by BT and developed by iZotope.Tear up your tracks in real-time, building thrilling fills..
iZotope: Trash 2Trash 2 takes the best of Trash and makes it even better. With an entirely new sonic architecture, brand new features, optimized performance, better sound quality, and support for modern hosts and formats, Trash 2 is primed for a powe..